input into the training program of Learning Center and the other CIT departments. To foster a spirit of unity and trust through cooperative training. To cooperate in the design and delivery of effective training. To enhance the quality of training through access to expert trainers from the various partners. To broaden the scope of training through exposure to missionaries and ministries from other organizations. To reduce duplication of training programs and costs through cooperation. 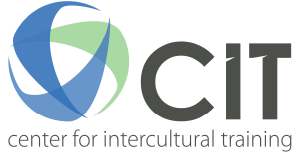 If your agency is interested in becoming a CIT Partner, contact Debbie Wagner at [email protected] for more information and to request a CIT Partner application.